NEW YORK CITY: A Pakistani-American sculptor brings dark times, science fiction and a desire to provoke to New York’s famed Metropolitan Museum of Art for this year’s rooftop installation overlooking the Manhattan skyline. 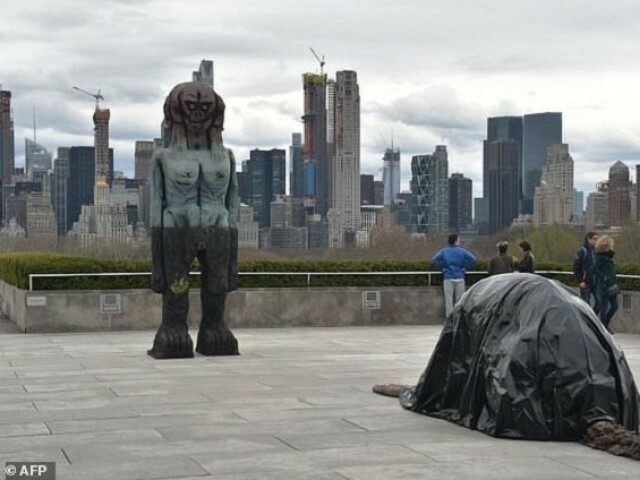 Huma Bhabha’s “We Come in Peace” depicts a towering 12-foot, five-headed figure weighing 1.5 tons and an 18-foot long prostrate figure covered in a trash bag and called Benaam, or “without name” in Urdu. 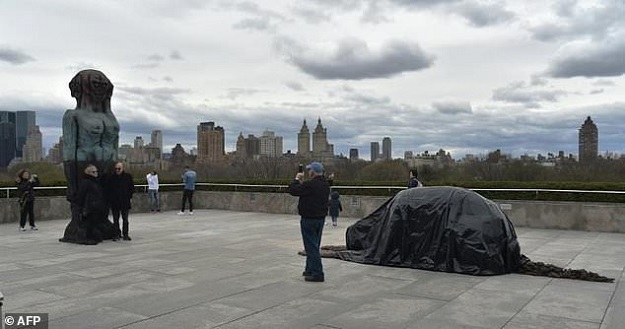 The installation, which opened Tuesday, is the sixth annual commission at the illustrious US museum’s roof garden, a popular summer spot that draws nearly half a million visitors every year. 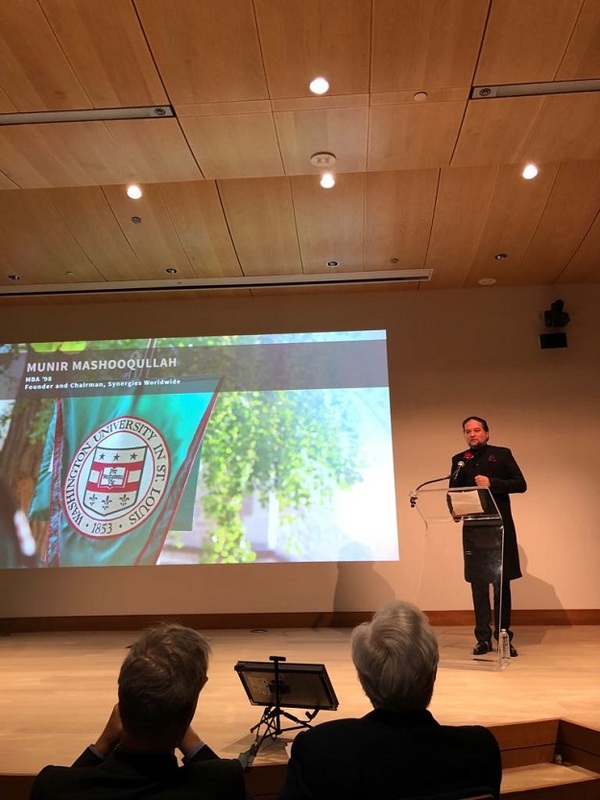 Karachi-born Bhabha, who lives in New York state’s Hudson Valley, is the first Pakistani American selected for the honor. Imran Qureshi, based in Pakistan, was the first Pakistani artist to present work for the commission, in 2013. Bold, dramatic and thought-provoking, the weather-proof figures cast in bronze have political undertones, reflect social concerns and reference ancient African and Indian sculpture, according to the Met. “It’s what is brewing in your head,” Bhabha told AFP, insisting she wants visitors to make their own interpretations. “I don’t want to necessarily say it’s this or that because that closes the conversation, but there are lots of different scenarios that one can come up with.” Nor does she join the chorus in Democrat-heavy New York that focuses blame on US President Donald Trump for what many in the city see as the country’s ills. The work was at least partly inspired by 1951 science-fiction film “The Day the Earth Stood Still” in which an alien arrives on our planet telling humans they must live peacefully or face destruction. “Huma’s work felt right for this particular moment,” explained Shanay Jhaveri, assistant curator of South Asian art. “There are numerous levels of meaning embedded in them and I think we just wanted people to step back and to be provoked a little bit,” he said in an interview. Bhabha specialises in figurative sculpture and has addressed themes such as colonialism, war and displacement in her work. Her work has been exhibited at New York’s MoMA PS1, as well as the Venice Biennale and the Gwangju Biennale in South Korea, among others. The installation is scheduled to remain open until October 28, weather permitting.